Your kiddo easily whips through your iPhone pics or has accidentally posted selfies to your Facebook wall, so you know that your tot is waaay better at tech than you. Kids have a ton of app inspiration to help them learn how to draw, count and code, and on YouTube, there are a bunch of fun educational series (parent-approved, of course). But as a parent, you might wonder how safe it is for your toddler to play around on social media solo. We chatted with author Devorah Heitner about her latest book, Screenwise: Helping Kids Thrive and Survive in Their Digital World, and to get her expert tips on raising digitally savvy (and safe!) kids. 2. Go inside out. At some point, your kid is going to stumble onto something inappropriate online. Like the movie Inside Out, talk about how your kid felt when they saw said thing. Did it make them angry or sad? 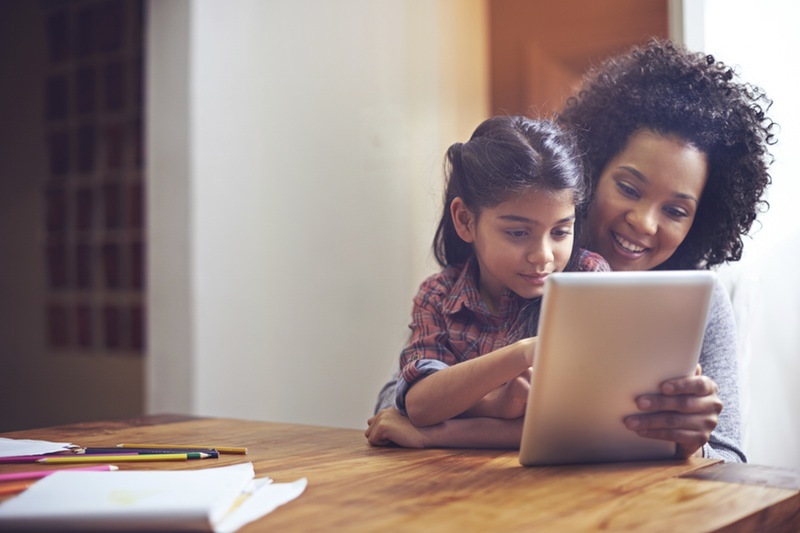 “Discuss the idea that adults put things on the internet that aren’t for kids and make a plan with your child about supervising internet use,” says Devorah. For older kids who are curious, talk directly about content that you’d prefer that they don’t look at and why. 3. Be honest. While it’s tempting to sneak onto your kid’s devices and scroll through browser history, it’s not the best way to have an honest discussion. “You may feel that it’s your right as a parent, but your child will see it as a breach of trust,” says Devorah. 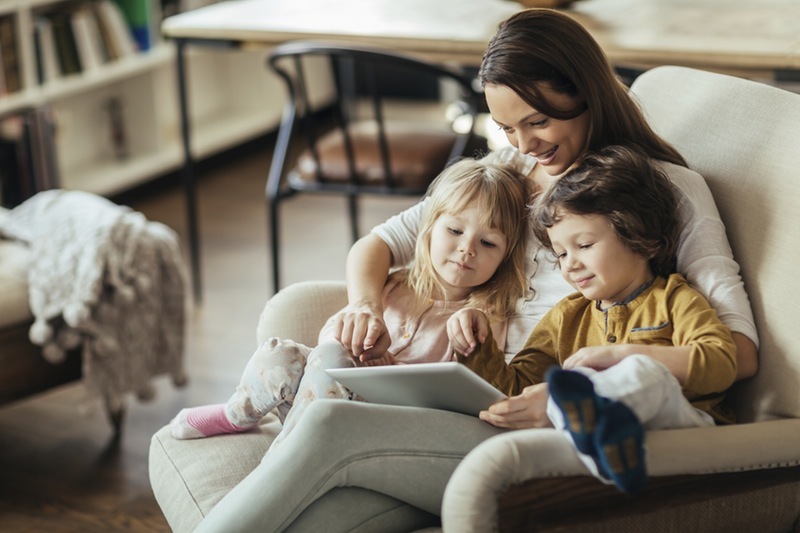 Instead, she suggests talking with your children about your expectations for their behavior online and listen to their perspective. You can not allow them to have devices in their bedrooms but allow them in family spaces like the living room. Come up with a game plan together. 4. Enlist help. From Devorah’s workshops, she’s learned that kids are most worried about being embarrassed, like when a friend shares a pic that they don’t want shared, or when a group text turns ugly. Devorah suggests two tactics when social media goes wrong. Help your kiddo to work out hurt feelings face-to-face with their friend, or if the conflict comes from a stranger, talk about ways of letting it go and being resilient. “If your kid is being harassed, bullied or extorted, or if a friend is posting in a worrying way about self-harm, then they should speak to a caring adult (parent, counselor or teacher) right away. If the situation is beyond what a parent can handle, don’t be afraid to reach out to the community for assistance,” says Devorah. Be proactive when social media situations get scary. 5. Model behavior. In her digital workshops at schools, kids often mention to Devorah that they hate when their parents are buried in their phones, text while driving or enlist them to text while they drive. “Some kids reported to resorting to hiding their parents’ phones while they are cooking or otherwise distracted so that they can get their attention. Then parents wonder why the kids want to bring their phones to breakfast. It is all about modeling,” says Devorah. If you don’t want your kiddo consumed with screens, you can model that behavior by taking a tech break too. “Also, model appropriate and thoughtful uses for digital devices and offer the opportunity to reflect and problem solve when it isn’t going well!” Your kiddos look up to you. Be their guide for what you’d like them to do. 6. Green means go. When your child wants to download an app, Devorah suggests creating a greenlighting process for apps that you and your child agree on. If the app passes your greenlight process (Is it educational? What can you learn? Is it appropriate for your age? ), then download away. 7. Socializing is good. Creative social spaces for kids can be a great way for your unique kiddo to find a community of friends who share their same interests — something that’s not always easy on the middle school playground. “Social media is a way for kids to extend their friendships,” says Devorah. Before you ban Facebook or Snapchat, discuss with your child what you think are good guidelines for social media friendships.